So maybe I haven't been the best at posting news, but this is some great news! We have just moved in to a much larger control room, and are undergoing construction to get a new live room and vocal booth! I'll keep you better posted moving forward, but all that to say, 3 Studios is having some nice upgrades done as we speak!! About a month ago I was shooting photos and video clips for a DJ who was playing at the Germanic American Institute in St. Paul, MN. Randomly, at this event, a tall German bloke approached me asking if I did professional video. Of course I said yes! After a 60 second interview on the spot (him drilling me), he asked me to meet with him regarding the production of tech support videos. Long story short, we were hired to shoot a simple series of short “how-to” videos about the myMix personal monitor mixer. 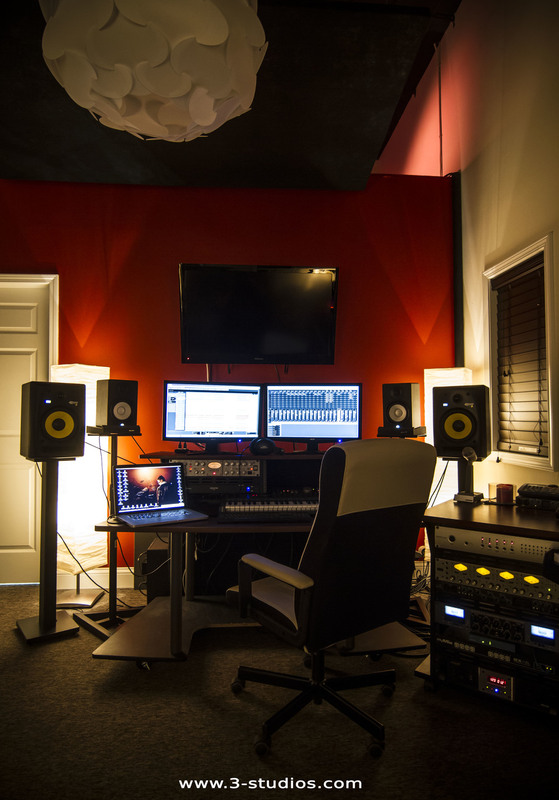 A few weeks ago we were visiting a recording studio in Minneapolis, meeting new people and extending our network! While there we learned that they have a video department, just as we do, and that they needed a camera operator for an upcoming event. I gladly offered my services, and within minutes we had come to an agreement. What I did not know was that I had said yes to shoot photos and video footage behind closed doors as The Revolution rehearsed for their upcoming reunion concert! It was basically a 3-day gig. Before you ask, Prince was not there, but everyone else was! Bobby, Wendy & Lisa, Dez, Dr. Fink, Brownmark, and Eric. Even the original tech crews had come in to do the show!